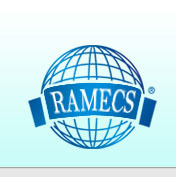 International Research Association of Modern Education and Computer Science (RAMECS) was founded in 2008. The RAMECS is an educational scientific and non-profit association. It provides a platform for teachers, engineers and scientists in academia, university and industry to present their latest research findings in areas of modern education, computer science and their applications. It promotes research, innovation, communication and education and conducts conferences and institutes scientific publications. Currently we especially encourage research topics on Educational Technology, Network Security, Communications, Trust Computing, Knowledge Management, Intelligent Systems, Biomedical Engineering, Internet Technology, Database Technology, Computational Sciences, Biocomputing, Data Science, Analytics, etc.. Copyright © 2008-2018 RAMECS. All Rights Reserved.